As an important member of your congregation, you realize how crucial building trusting and open relationships is with the members of your church. The first lesson in Church Marketing 101 is building and retaining relationships. 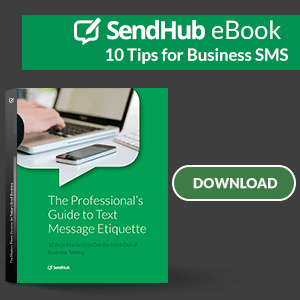 This blog will show you how you do that through SMS. In our modern age, more and more people are connecting and communicating through digital means, one of the leading methods being SMS messaging. SendHub works with many churches, and so we thought we’d put together church marketing 101 with 10 church promotional ideas using church SMS marketing. At SendHub, we’ve worked with big and small churches that strive to connect with their members in new, innovative ways that makes sense for the sender, typically the church Pastors, Priests, and Staff, and the recipients, who are the church attendees. Using our simple, automated, and out-of-the-box bulk SMS solution, church leaders and staff can touch base with thousands of individuals with just the click of a button. Churches often upgrade to custom plans to get access to SendHub’s short code which makes bulk sms easier and more professional. A custom plan could also grant API access allowing their engineers to integrate their existing church marketing software with SendHub. SendHub can get very technical with our API and/or keep it simple with our all inlcusive inbox that allows simple one-on-one and bulk text messaging campaigns. We’ve compiled 10 church promotional ideas that can be utilized to optimize your church SMS marketing campaign with SendHub. Additionally, ReClaim Church, a SendHub customer since 2014, has agreed to let us share some of their real-life text messages as examples for this article. Church marketing 101 calls for churches to send prayer requests out and actually get them read. How do you do this? Using text messaging of course. Your church community leans on each other through thick and thin. When the time comes that a member of your congregation requires a thought or kind word said for them, you can use bulk SMS messaging to kindly send out a request to the other members of your church. You never know when someone is in need of a prayer. Accidents, emergencies, and needs happen at all hours of the day. With SendHub, your member could send in a request for a prayer with a simple text message. On a weekly basis, you can choose to send out a scheduled service reminder to members of your church, and in turn, receive any information about patrons who cannot attend that week. During Easter and Christmas, churches see a lot of people at service. Have the pastor ask everyone to text a keyword, such as “John316” to your SendHub number so they can opt in to your messages. Then, after Easter and Christmas, keep in touch with them by sending them Sunday service reminders. As a regular attendee and active member of your church, your community looks up to church leaders to help them work their faith into their everyday life. By sending out a daily devotional via SMS, you can provide members with a little reminder of their faith each and every day. If your church has a special event going on, such as a family night or summer barbeque, you can send out an SMS message prior to the event acting as a reminder of the community gathering. Want to build up anticipation leading up to your next church service? Create a fun contest for church members. Perhaps for the next service, everyone who wears green will get a special gift. Have fun with your church promotional ideas by creating SMS contests! Within many large churches, there are sub-groups who actively participate in other church-related activities, such as youth groups, men’s clubs, or women’s clubs. With SendHub’s business bulk SMS service, you can organize contacts into specific groups and easily communicate updates with these specialized groups. During the week leading up to a service, some church leaders like to prepare members for their sermons and discussions for the upcoming service. By incorporating texts with your sermons, you can help keep your members thinking about the important aspects of your sermon all week long. As mentioned in number 7, incorporating texts with upcoming sermons can help keep faith in the minds of your church members. If you’d prefer to send less frequent updates to your church community, a special weekly message surrounding your sermon will set the pace for the week. Emergencies happen. If this is the case, SendHub’s bulk SMS services can help you quickly reach the members of your church and communicate any last-minute updates. Special holiday services, such as Christmas and Easter may occur at different times than your regularly scheduled service. Make sure that your members know by sending out a couple of SMS reminders surrounding the service so that your entire community can gather and celebrate together. Whether you have a large congregation, or want a simple and accessible way to contact your entire church community, Church Marketing 101 would state that SendHub’s bulk SMS services can help you manage your communications and your church marketing with ease. 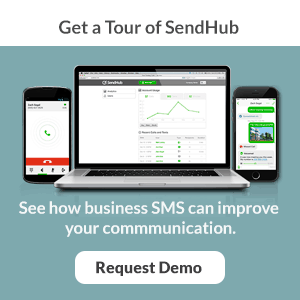 At SendHub, we specialize in creating Church SMS marketing campaigns. Want to try us out for free? Start your 14-day trial with SendHub today!